Spring is a great time to walk through the house to declutter, reorganize, and clean each room. When it comes to the furnace closet, don’t forget to clean the HVAC unit. Doing so will help the transition into using the air conditioner this spring and summer. To clean it, use the following 5 tips. Changing the filter is an important step that many people neglect. Clogged air filters force the system to work overtime to push air through the home. Check it once a month, and replace it before it has a chance to get clogged. The air conditioner drain needs to be clear to allow it to work properly. Use a hanger or other long wire to clear out the drain. Remove any debris or other items blocking the drain to prevent clogs and flooding. Holes in the ventilation system make it less effective as it allows air to escape. Inspect the vents, looking for any dents or dings in it, and repair these spots using duct tape or caulk. Also, consider hiring professionals to clean them out and repair them, as necessary. Head outside to inspect the exterior unit. Remove any debris, cut away branches and shrubbery touching the unit, and use a hose to clean any dust that settled on the unit over the fall and winter. 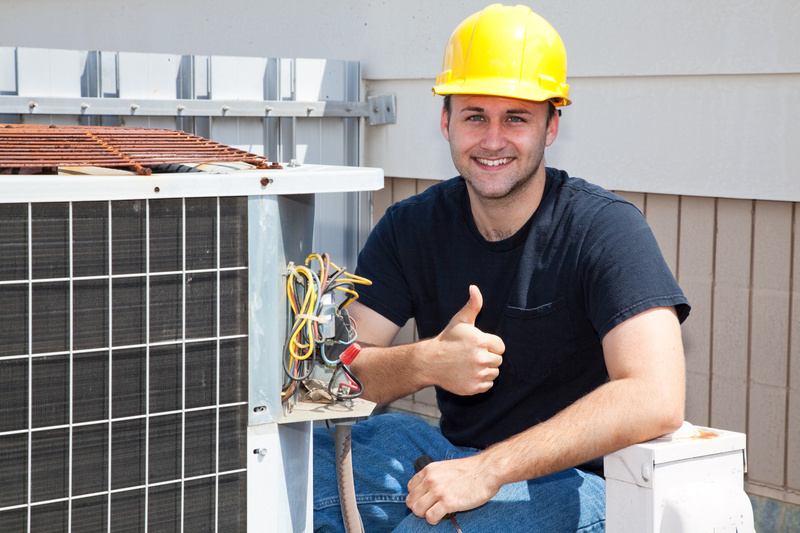 According to the American Society of Heating, Refrigerating, and Air-Conditioning Engineers (ASHRAE), dirty coils and clogged filters can add an extra $1000 to utility bills over the cooling season. In order to save money, it’s important to keep the coils clean. Regularly inspect them, and clean away dirt and debris. Clean coils can make the system more efficient, lower energy costs, and prolong the unit’s lifespan. On top of the rest of the spring cleaning tips, contact us to come out and inspect the HVAC system. We’ll help you clean it up and check for any issues that should be addressed before using the air conditioning system.